Early on the morning of August 1, 1943, scores of American B-24 bombers took off from the hot plains of Libya on a long-range raid of dramatic importance. 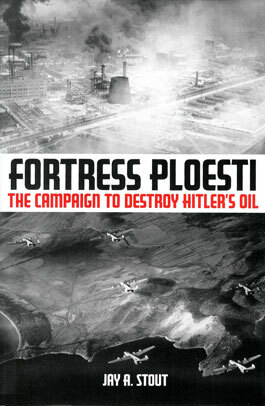 Their target was the massive Romanian refinery complex at Ploesti, a sprawling center that supplied Hitler's war machine with much of its precious oil. Of the 178 bombers that took part in the low-level raid, 54 of them never returned. That legendary mission was a watershed event in the history of aerial warfare, but it was only the beginning of the Ploesti saga. The greater campaign that turned the massive petroleum complex into twisted metal and ash got underway the following year in 1944. The relentless effort makes up a far-reaching story unlike any other of World War II and it is told here for the first time. Jay Stout's remarkable study is a unique, definitive and exceptionally readable account that brings to life the terror of the entire bloody series of aerial battles.